Eastman Therminol® heat transfer fluids are designed to provide precise temperature control in a variety of applications. 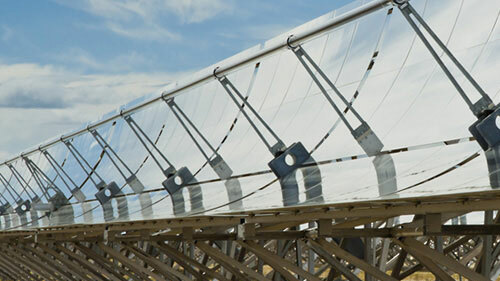 From processing oil and gas in the coldest climates to extracting the most heat from the sun in a concentrated solar power array, Therminol heat transfer fluids have been providing high performance and stability in systems with operational temperatures from -115°C (-175°F) to 400°C (750°F) for more than 50 years. Find the right heat transfer fluid for your system by selecting from the following specific application categories. We rely on efficient and economical sources of energy and heat to provide the power to run our factories, heat and cool our homes, refrigerate and cook our food, and transport people and goods from one destination to another. 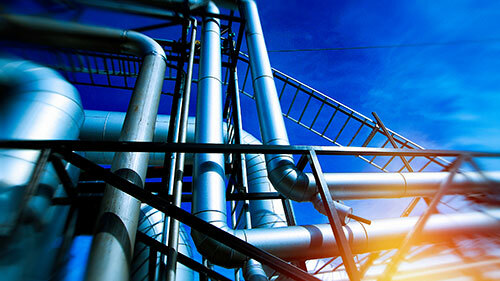 Therminol heat transfer fluids have played a significant role in hydrocarbon processing industries and applications—such as petrochemicals, oil and gas processing, and refining—that help to satisfy those needs. 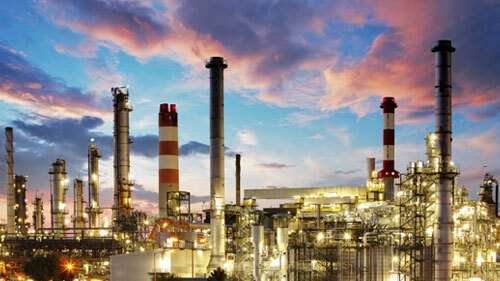 Choose a specific application to learn more about Therminol products for the hydrocarbon processing industry. Plastics and polymer production utilizes manufacturing equipment that requires a broad range of flexibility in operation. Some operations require high heat and precise control of temperatures. Whether liquid- or vapor-phase operation, Therminol heat transfer fluids have been extensively used in these critical applications. 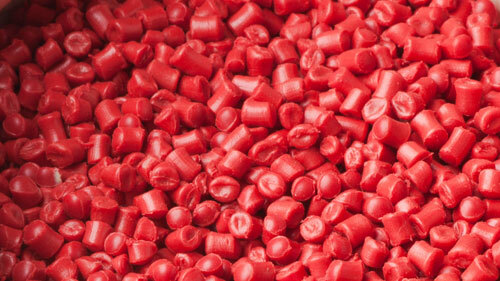 Choose a specific application to learn more about Therminol products for the plastics industry. 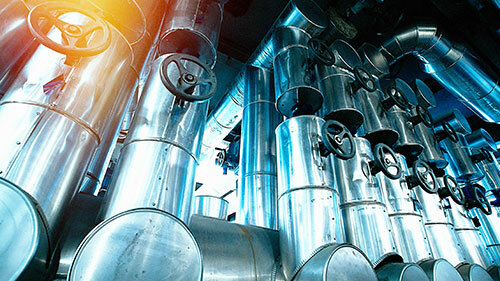 Some chemical applications require very low temperatures, precise temperature control, or multistep chemical processes that may span several temperature ranges. Chemical and pharmaceutical industries around the world have relied on Therminol liquid- and vapor-phase heat transfer fluids to provide long-term, trouble-free performance in heat transfer systems that are critical to the success of these operations. Eastman is committed to creating and working with sustainable technologies. Renewable energy generated by thermal concentrated solar power, waste energy recovery systems (organic Rankine cycle), and biofuels, in addition to desalination of seawater into fresh water, are just a few of the industries where Therminol fluids can be found. Several applications in the food processing industry are well suited to the use of liquid- and vapor-phase heat transfer fluids. 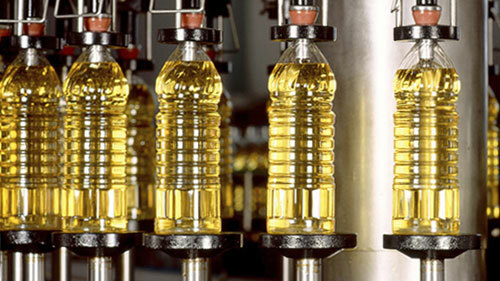 Vegetable oil deodorizing, food additive manufacturing, food packaging production, and food preparation all use heat transfer fluids to some degree. When operating temperatures prohibit the use of steam or steam is not readily available, synthetic-based heat transfer fluids can provide safe and efficient operation in a heat transfer system used for food processing. A properly designed and maintained heat transfer system employing Therminol heat transfer fluids will contribute to low-cost operation and efficient production. Many applications in the heat processing industry are well suited to the use of heat transfer fluids to help regulate fluid temperature and provide a controlled environment for chemical reactions. Therminol fluids can be used in both medium-density fiberboard (MDF) and desalination applications. Therminol fluid thermal stability ensures long life for the fluid, resistance to fouling, and excellent fluid-side heat transfer coefficients for consistent and reliable service. In properly designed systems our fluids provide excellent thermal stability within their expected temperature ranges and provide years of trouble-free service with minimum downtime. However, less than ideal operating conditions can result in degradation of the heat transfer fluid, formation of solids, and even deposits on heat transfer surfaces. Eastman offers flush fluid and technical support to ensure your heat transfer system performs at its optimal best.